Since childhood, ancient mythology has fascinated me because of the significant roles that women played in the tales. They were powerful goddesses, mothers, warriors, creators, and destroyers. Women were not only associated with fertility and birth, but with warfare and destruction. Women have already had a power that men did not have—the power of creating life. Early ancient civilizations acknowledged this power through the Mother Goddess who ruled supreme over all. The ancients held women’s ability to create new life inside her body in awe and feared the mystical blood flows that synchronized with the phases of the moon. Women were considered magical and the intermediaries between the physical world and spiritual world. They could serve as seers, priestesses, healers, oracles, lawmakers, judges, and agents of the Great Goddess Mother who gave birth to the Universe. The hero’s journey as described by Joseph Campbell is a journey to the depths of our psyches where we discover spiritual meaning to our lives. It allows us insight into our souls where there are no boundaries between the spiritual and physical worlds. The ancient myths celebrated a female’s courage and cleverness to rescue their family, to be a partner on the hero’s journey, and to spin ways to overcome the giants in their way. It is no wonder myths have flourished throughout history because the tales and symbols reflect our universal struggle to find spiritual meaning in our everyday lives. Universal symbols in myths and dreams are connections into our creative, intuitive side. Unfortunately, the evolution of paternalistic societies and the emphasis on science, analytical reasoning, and technology in modern times have often left a void where people feel they cannot connect to each other and discover the spiritual meaning of their own lives. The heroine’s journey has always existed in epic myths, but it was often understated. Many ancient myths were unfortunately rewritten to reflect the religious and cultural beliefs that depicted women as seductresses and witches, or as pure-minded maidens and mothers. However, the heroine’s true role is neither to be hero or his prize. The power of women was reflected in the worship of the Great Goddesses who battled darkness. Her worship once dominated ancient mankind. She was the earth and sea from which life was created. She offered her feminine qualities of beauty, imagination, and compassion. But she also offered death and savagery. The primal goddess reigned uncontested for centuries as Ishtar, Morrigan, and Cybele who could be cruel and lustful goddesses. Many of these tales celebrate the metaphoric death of the inadequate self to resurrect into a higher plan of existence. For both men and women, myths helped their passage from childhood into adulthood. In the original ancient tales, heroines were brave, resourceful, and clever. They accustomed to saving themselves and their princes. Myths are the collective conscious of humanity to help the next generation face conflicts and journey to self-discovery. 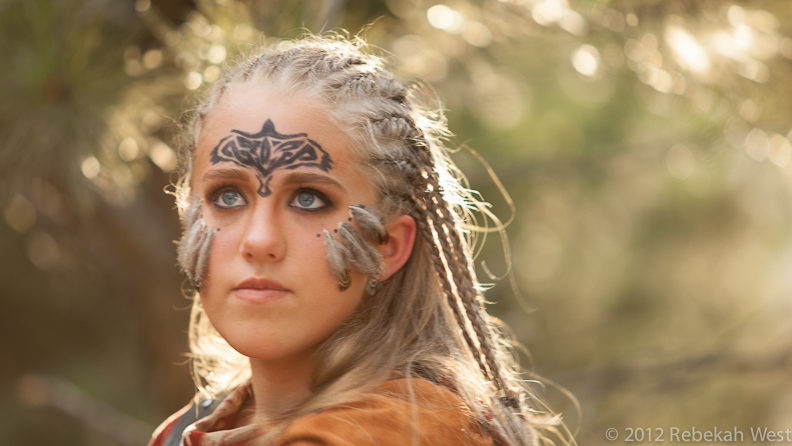 When I began writing the APOLLO’S RAVEN series, I grappled writing about my heroine, a Celtic warrior princess. Ancient mythology gave me insight into the complexity of women that provides them with both the courage and wisdom to overcome the monsters in their lives. Women not only ascend into the heavens as goddesses, but delve in the Underworld to face the shadowy parts of their souls. From these destructive forces bring forth new life. The heroine must use her darker feminine side to balance compassion and cruelty when overcoming evil forces in her journey. Only after the heroine understands her dark side can she gain the wisdom to guide others needing her counsel, especially children. The heroine travels between the mortal and spirituals worlds to become a goddess and protector of others. The next posts will further explore the heroine’s journey with particularly emphasis on Celtic mythology of powerful women and goddesses. Joseph Campbell, The Hero with a Thousand Faces—Bollingen Series XVII Third Edition; Joseph Campbell Foundation; New World Library, Novato, 2008. Maureen Murdock, The Heroine’s Journey: Woman’s Quest for Wholeness; Shambhala Publications, Inc., Boston, MA, 1990.